ZANU-PF yesterday said Cde Simon Khaya Moyo remains the party’s Secretary for Information and Publicity and the public should disregard an earlier communication stating that the party’s Secretary for Legal Affairs, Cde Paul Mangwana, was now the party’s acting spokesperson. On Thursday, a party official issued a statement saying Cde Mangwana would be the acting national spokesperson as Cde Khaya-Moyo was preoccupied with campaigning for the Bulilima-Mangwe Senatorial seat. Cde Mangwana is not contesting in the forthcoming polls. The party’s Administration Director, Cde Dickson Dzora, who had made the earlier pronouncement, clarified Zanu-PF’s position yesterday saying Cde Khaya-Moyo remains the party’s spokesperson. 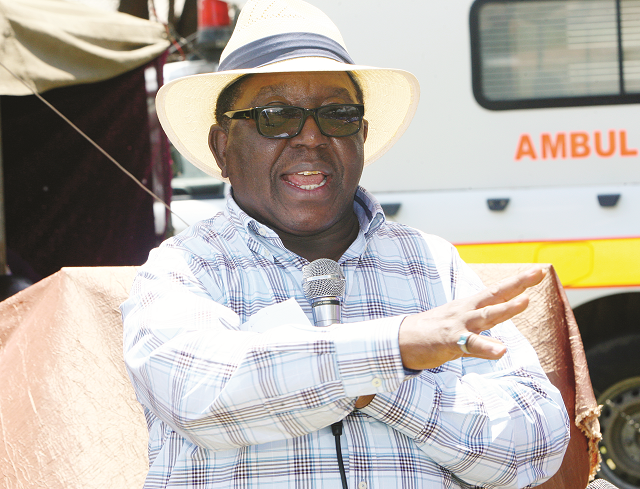 “This communication seeks to correct the press statement which I issued yesterday on behalf of the ruling Zanu-PF party in which I inadvertently ascribed the role of party spokesperson to Cde Paul Mangwana in the acting capacity until further notice,” he said. Cde Dzora said Cde Mangwana would be the party’s point of reference on electoral matters.